It’s about 2 years passed since I joined dribbble. It’s so far from my first debut shot to 5K followers. Now, It’s the time to accept new challenges and achieve more higher goals. I’m planning to rebuilt my portfolio and upgrade to version 3.0. 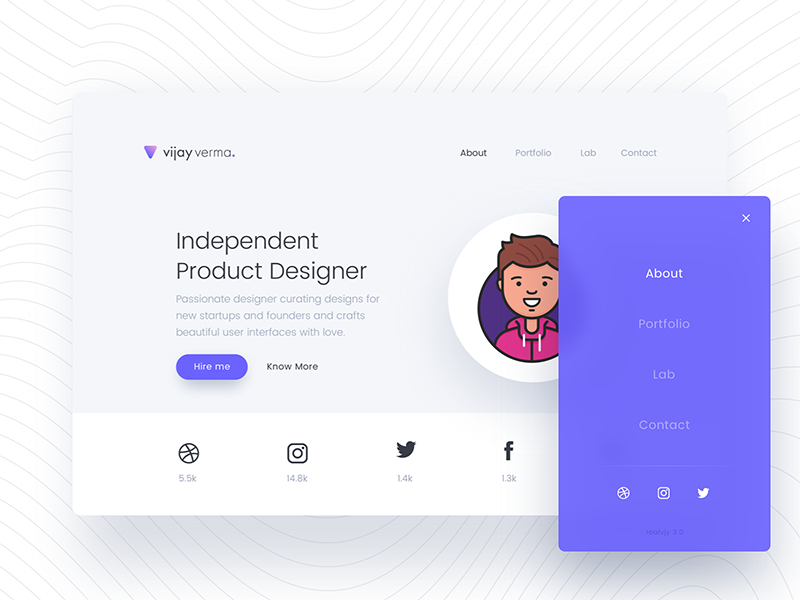 This is just a teaser of portfolio header section. I’m also thinking to redesign Avatar as well.